This year I've been noticing a bit of a trend from United Airlines. Every now and then they'll temporarily drastically reduce the price on a route from a Canadian city to what I would call a secondary or tertiary U.S. airport. These are destinations that are not major tourist or business hubs, and historically, never go on sale, and are pretty much always in the mid $500s to low $600s roundtrip, all year round from Canada. Such is the case today with flights from Edmonton to Eugene, Oregon (EUG) - a city that's about 2.5 hours south of Portland. 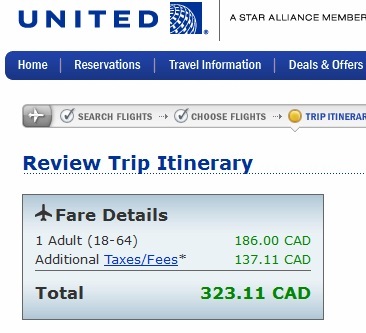 United has dropped the price of their Edmonton - Eugene flights down to $324 CAD roundtrip including taxes, and there are even dates available in the peak summer travel months of July and August. 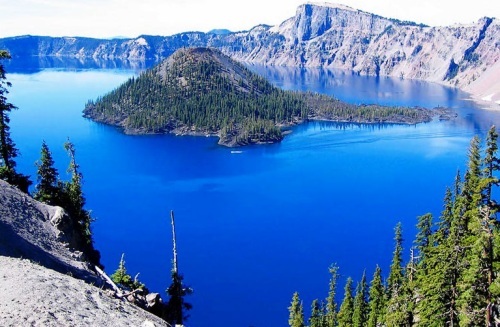 If you're into the outdoors, Eugene is about a 2 hour drive from Crater Lake, which is the fifth oldest national park in the U.S., and the deepest lake in the United States (9th deepest in the world). The water in Crater Lake is known for having an amazing blue hue, and really does look like the color in the photo above. Click on the departure date to open up the calendar. Near the bottom left you can adjust the length of the trip. 5-8 night trips seem to have the most availability. As you browse through the months, you'll notice there are dates available in July, August, September, October, November, and December 2015, and even from January to mid April 2016. 2. Click on some dates, and choose your flights. 3. Click through to the United Airlines website for booking. edmonton, yeg, united states, united airlines, north america, eugene, oregon and eug.